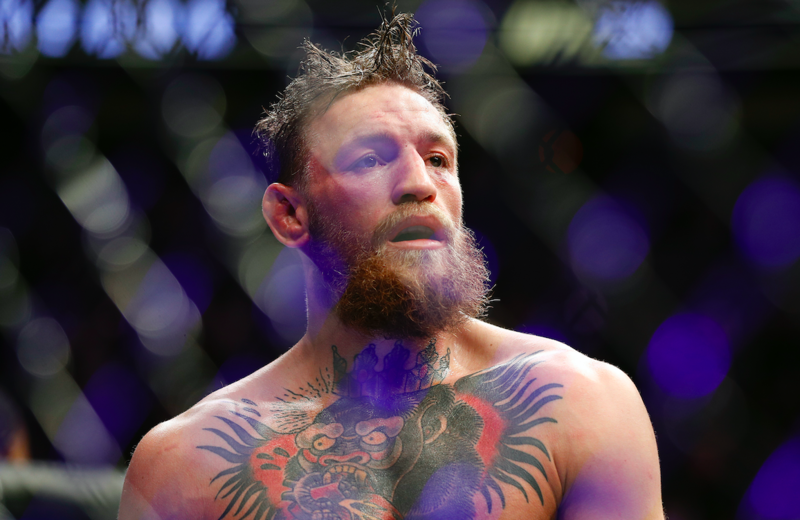 Last night (October 6), Conor McGregor suffered the fourth loss of his MMA career when he tapped out against arch-nemesis, Khabib Nurmagomedov. However despite being the biggest fight in UFC history, the planned bout wasn’t the biggest talking point of the night. What followed was. Immediately after the Notorious tapped out on Khabib’s arm, Khabib seemed thirsty for more. He stared into the crowd like a wild bull, eyeing up McGregor’s entourage. 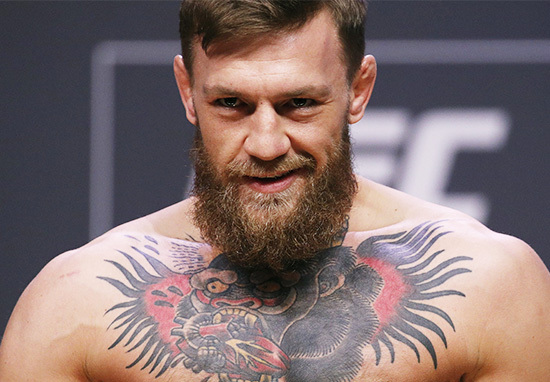 Within seconds, he’d jumped out of the Octagon and charged at them – quickly followed by McGregor. It was a messy donnybrook. Spilling into the crowd and then back into the Octagon with countless people including McGregor and Khabib being attacked. Another man who got a fist to the face was none other than Khabib’s cousin, Abubakar Nurmagomedov. In the recent aftermath of the bizarre and violent twist, Abubakar posted a video of his injuries, which have since gone viral. As the two parties were finally separated and stopped hitting one another, three members of Khabib’s team were arrested by police at the T-Mobile Arena, and both McGregor and Khabib were given police escorts out of the venue. As a result, Khabib wasn’t even given his belt after Dana White stated, there would be ‘security concerns’ if it were to happen. While White at first claimed the violent members of Khabib’s entourage would be ‘going to jail’ he later explained McGregor had told him he didn’t want to press charges, reports Pundit Arena. Conor was one of the guys who was attacked but Conor refuses to press charges. The guys that they did have, they’ve released. There were three guys who I think were from Khabib’s team and they were arrested but they were released because Conor didn’t want to press charges. White also had strong words to say on any UFC fighters who were involved in the post-fight brawl saying they would never fight in the UFC again. He also revealed the Nevada State Athletic Commission had decided to withhold Nurmagomedov’s purse, while McGregor was paid. I talked to [Nevada State Athletic Commisson’s executive director] Bob Bennett and he said he was withholding both guys’ purses and wasn’t going to give them their money. Then they went in and they pulled a bunch of footage from us and called me back. They did an interview with McGregor and then they gave him his purse but they’re withholding Khabib’s. No matter what happens in the near future regarding the after-fight fight, Nurmagomedov now boasts an incredible 27-0 record while having inflicting the fourth loss of McGregor’s 25-fight career.